Shortly after Elvin McDonald and Peggie Schulz started publishing THE GLOXINIAN (now Gesneriads), people around the United States started organizing interest groups that met to discuss their growing successes and failures with gesneriads. The first of these to take root were the Golden West Branch in San Leandro, California in 1952 and a chapter in the Chicago area in early 1953. By the spring of that year, the Gloxinia Society of Greater Kansas City was born. The next decade brought a period of unprecedented growth to the Society as interest groups formed and many of them blossomed into official chapters. By 1968, there were about a dozen fully fledged chapters of the American Gloxinia and Gesneriad Society. By 1986, the Society was forty-two chapters strong. In 1996, a chapter was formed in Sweden, and it is currently the largest chapter of the Society. Although the Internet allows easy communication around the world, nothing can replace the in-person meeting of a local group. Chapter meetings afford members and guests the opportunity to meet and talk gesneriads face-to-face, exchange plants, put on small shows, and just enjoy each other’s company. Find out if there is a chapter near you. Or, if you are interested in forming a chapter, email our Chapters and Affiliates Chairperson to find out what you need to do. Grow with us – join a chapter! Attending a chapter meeting is a great way to meet other gesneriad enthusiasts! If you are planning a trip, see if there is a chapter in the area. Visitors are always welcome! No chapter in your area? 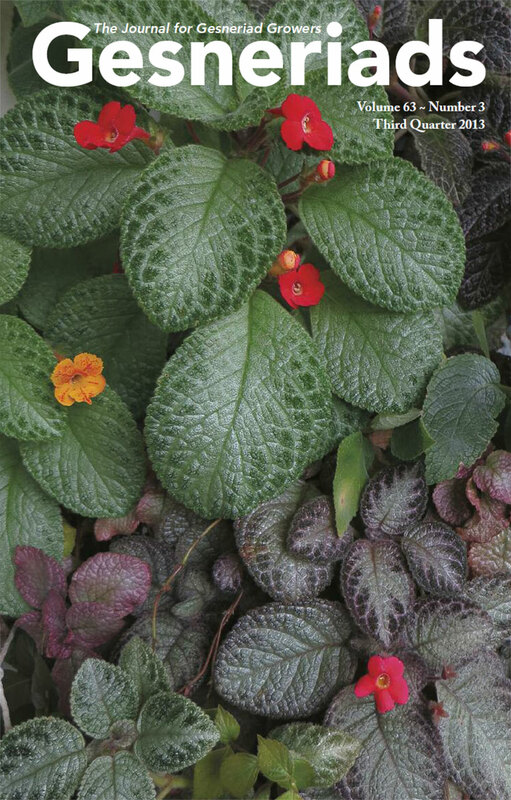 Want to start one, or find other Gesneriad Society members nearby? Contact our Chapters and Affiliates Chairperson. Attention Chapters! If you need to update your chapter information (president or meeting locations and dates), contact the Chapters and Affiliates Chairperson. Having a flower show or plant sale? Send your information to the Events Editor. Your event will be featured on the Events page and also in Gesneriads. Publicity packets consisting of promotional rack cards and assorted Society publications are available free of charge to Gesneriad Society Chapters holding shows/sales. Contact the Membership Promotion Chairperson for more information.